We’ve had exceptionally warm weather here the last couple days. 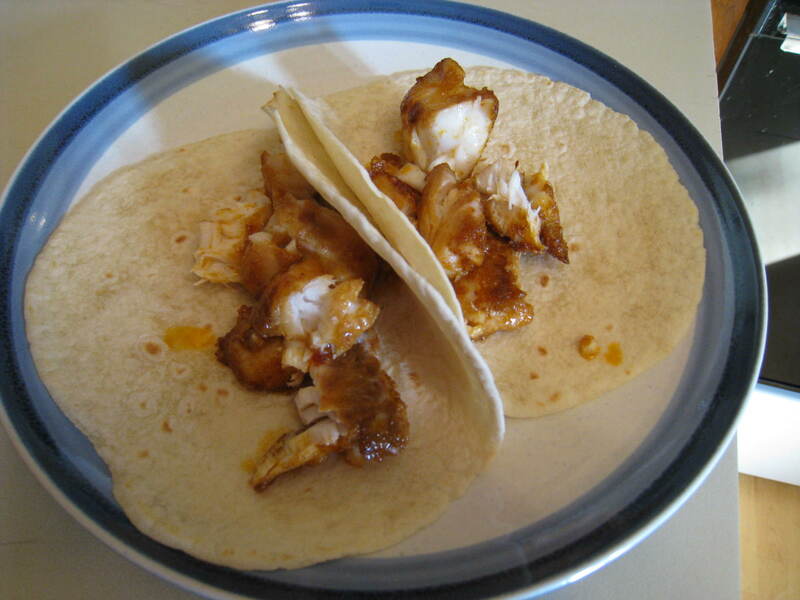 I was in the mood for something light and refreshing to eat – so I took my grilled tilapia recipe and modified it slightly. Combine vegetable oil and taco seasoning in a small bowl. Mix well to combine. Add the tilapia and stir to coat all pieces. Refrigerate for 10-15 minutes. Warm a large skillet and add tilapia pieces. Serve on warmed tortillas. Would be great with fresh guacamole or salsa.